1. 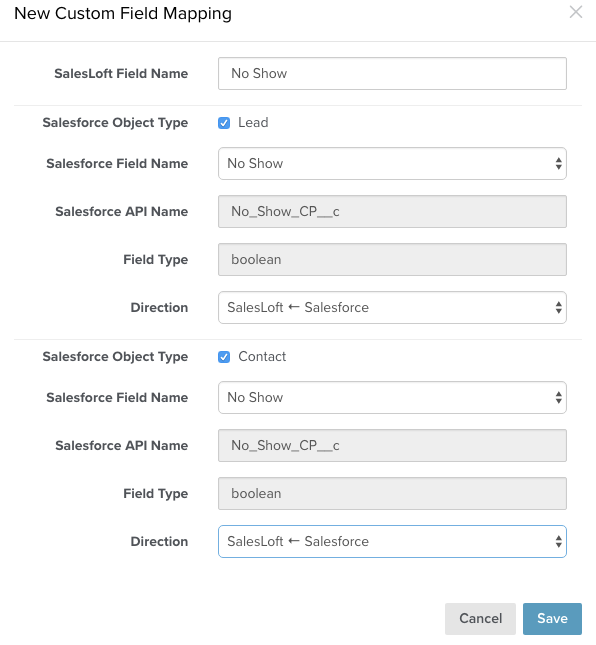 Add this checkbox field in Salesforce on Contacts and Lead objects: “No show”, field name has to be “No_Show_CP”. By default it should be false. 2. With the Chili Piper browser extension, you can change this field to true from the meeting in Google Calendar. 3. 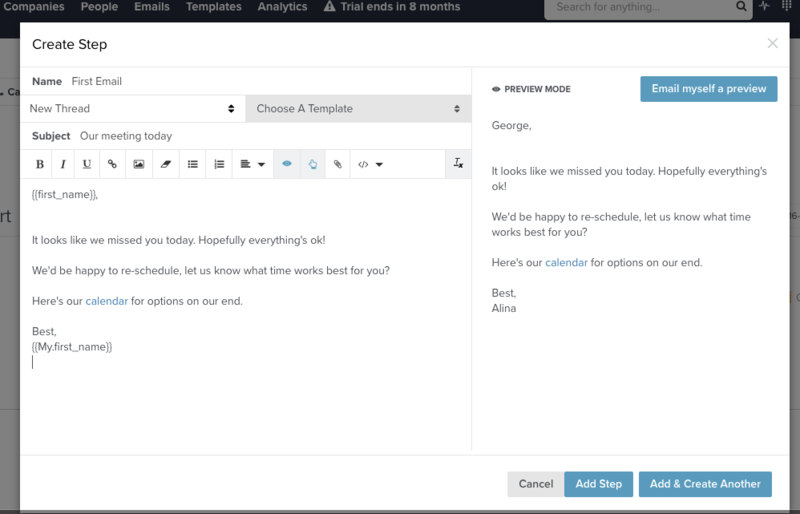 Create a “No Show” field in Salesloft and map it to the Salesforce field for both leads and contacts. 4. Start a cadence once this field changes. This cadence can have anything between 3 steps and 7 spanned over a 2 months period depending on your cycle. Learn more about advanced booking links.